A federal judge ruled this week that the clothing company Abercrombie & Fitch wrongly fired a Muslim employee in San Mateo, Calif., for wearing a headscarf. The retailer said the look of its employees is part of its marketing strategy, but, according to the Associated Press, the judge found no “credible evidence” that the employee’s headscarf affected sales. The company said it does not discriminate based on religion. Abercrombie has been the target of discrimination suits in the past, brought by black, Hispanic and Asian employees and job applicants. 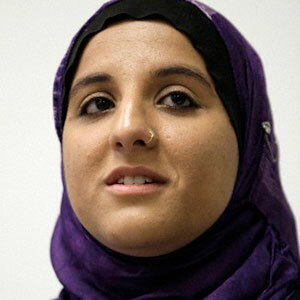 About six-in-ten Muslim American women (59%) say they wear the headcover (or hijab) at least some of the time, including 36% who say they wear it whenever they are in public, according to a 2011 Pew Research Center survey. 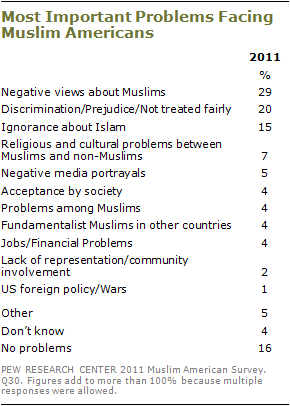 The same survey also explored the most important problems Muslim Americans say they face. One-in-five U.S. Muslims (20%) mention discrimination, prejudice and unfair treatment. Nearly three-in-ten (29%) point to negative views about Muslims, 15% mention ignorance about Islam and 7% indicate religious and cultural problems between Muslims and non-Muslims. Only 16% say there are no problems facing Muslim Americans. Younger Muslim Americans are more likely to say they have faced hostility due to their religion. More than half (56%) of U.S. Muslims ages 18-29 say they have been treated with suspicion, called offensive names, singled out by law enforcement or physically threatened in the year prior to the survey. By comparison, 35% of Muslim Americans ages 30 and older say at least one of those things has happened to them.